A close look at Apple’s iMessage system shows the company could easily intercept communications on the service despite its assurances to the contrary, researchers claimed Thursday at a security conference. Apple asserted in June, following disclosures about the NSA’s data collection programs, that iMessage, which lets users send texts over Wi-Fi for free, is protected by end-to-end encryption that makes it impossible for Apple or anyone else to descramble the messages. The company’s claim that iMessage is protected by unbreakable encryption is “just basically lies,” said Cyril Cattiaux, who has developed iOS jailbreak software and works for Quarkslab, a penetration testing and reverse engineering company in Paris. Asked to comment, Apple didn’t directly address the claims about iMessage and pointed instead to a statement it issued in June after the disclosures about the NSA’s Prism data collection program. The statement says in part that Apple first heard about Prism only when it was asked about it by news organizations. “We do not provide any government agency with direct access to our servers, and any government agency requesting customer content must get a court order,” the statement says. When someone sends an iMessage, the iOS device pulls the recipient’s public key from Apple’s non-public key server to create the ciphertext, or encrypted message. The iMessage is decrypted by the recipient using their private key. The problem is “Apple has full control over this public key directory,” Cattiaux said. 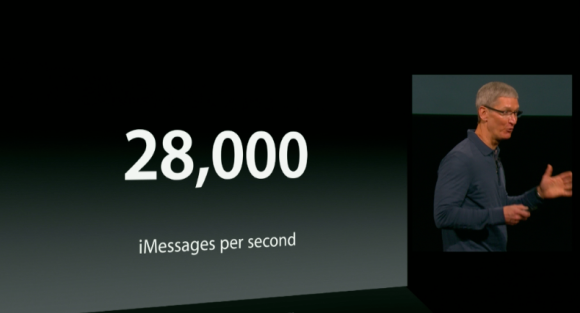 Lots of iMessages to feed the NSA. With a public server, such as MIT’s PGP Public Key Server, the sender can at least see more information, such as whether a key has changed. At that point, the sender can decide whether they want to trust it or not if they suspect a man in the middle attack. Apple’s key server is not public, the researchers say. They’ve insisted to their customers that messages were encrypted ‘end to end’ and that they couldn’t read the messages... This is all technically true, but at the same time they know perfectly well that this could change easily if they wanted to misbehave. People generally can’t assess or control of the risks of cloud-based services since the data is maintained on systems that can’t be audited, said Paul Kocher, president and chief scientist of Cryptography Research. “In practice, iMessage is only as secure as Apple chooses to make it, but it isn’t fair to criticize Apple too heavily since other services aren’t better (and most are worse),” Kocher said via email. iMessage’s cryptograpy itself is solid, but it’s been clear that Apple controlled the distribution of public keys, wrote Matthew D. Green, an assistant research professor in the Department of Computer Science at Johns Hopkins University, in an email. Cattiaux said there’s also no way to detect man-in-the-middle attacks by analyzing an iOS device. iOS does not store the public keys it uses for iMessage, so it’s impossible to see if a key has suddenly been switched and, ultimately, where the iMessage is routed. Cryptography expert Moxie Marlinspike, who was not involved in the research, said another attack scenario is possible. 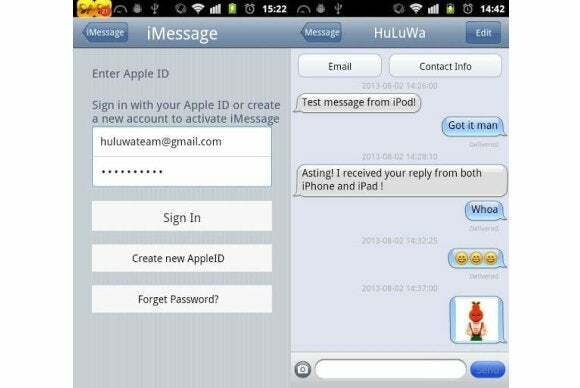 More than one Apple device can be linked to an iMessage account. So a device that is sending a message grabs several public keys in order to copy the message across the user’s iPhone and iPad, for example. A solution for Apple would be to store public keys locally in a protected database within iOS, as then the keys could be compared, Cattiaux said. As part of their presentation, the researchers released an application, “MITM Protect,” for jailbroken devices that allows for such a comparison.